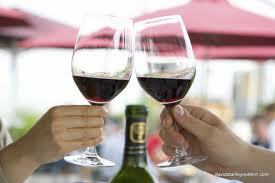 It’s the holiday season, which means the wine is flowing as people around the world gather to celebrate. Whether it’s a small family dinner or the observance of an age-old religious tradition, wine has long been a staple of the holidays. Today, some people spend thousands of dollars to build elaborate wine cellars so their libations will always be at hand, but did you know that rooms dedicated to the storage of this fermented drink go back thousands of years? In fact, archaeologists digging at the ruins of a 1700 BCE Canaanite palace in northern Israel have found what may be one of civilization’s oldest and largest wine cellars. It is believed that wine making began in Mesopotamia and areas surrounding the Caspian Sea between 6000 and 4000 BCE, but the ancient Egyptians were the first to document the wine-making process. The drink was reserved for royalty, priests and the social elite so it is not surprising that the massive wine cellar was found inside a palace. Archaeologists say the room measures 15×25 feet and held the equivalent of about 3,000 bottles of red and white wine—and there may be even more storage rooms they have yet to uncover. A storage room unearthed from the ruins of a 1700 B.C. Canaanite palace in northern Israel held the remains of 40 ceramic jars. Image courtesy of Eric H. Cline/George Washington University. Today, wine makers have a plethora of modern technologies for wine production, although many fashioners of the grape’s glory still adhere to basics: don’t get in the way of nature, understand that wine-making is an art as well as science and stay close to the process. According to Robert Foley of Robert Foley Vineyards in Angwin, California, “Getting the most expression, intensity of character and balanced fruit from the vineyards are keys….Basically, it’s making great grapes from understood land.” And although technology and science have made sorting, extraction and storage easier and more economical, vintners agree that constant diligence is the secret to the body, aroma and flavor of wine. Read more from Paul Franzen’s article “What Makes Great Wines” in Wines and Vines. 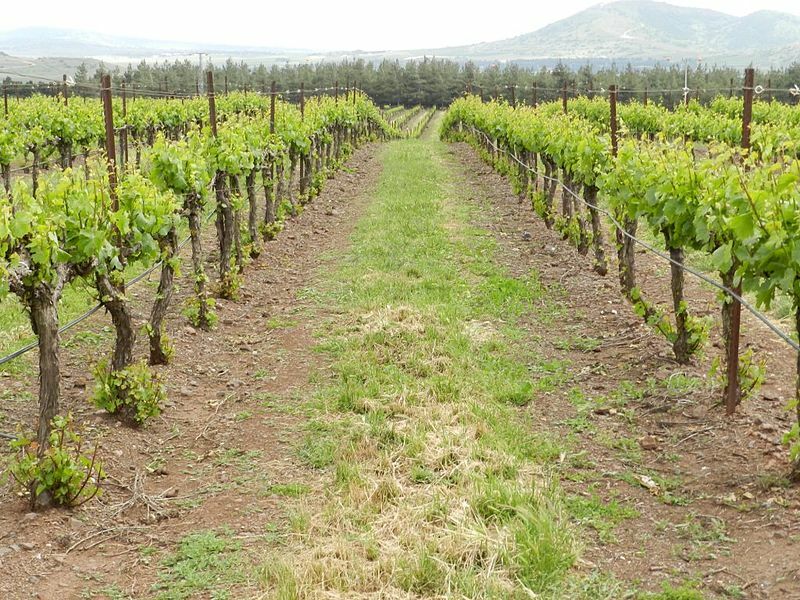 A modern organic vineyard in Golan Heights in Israel. Those calories (from wine) probably accounted for a lot more of the energy people obtained daily at the time than they do today, which is a major difference….Wine gave people calories, potable water, and helped hydrate them for the heavy labor most undertook. The huge wine trade throughout the Mediterranean — originally from the Levant and trafficked via Egyptian, Phoenician, and Greek traders — is clearly supported by the huge amount of amphorae discovered in sites on land and underwater shipwrecks. If people were not heavily reliant on wine as a key part of their diet, this trade would not have existed or have been so widespread. Whether it’s red or white, fruity or turpentine flavored, wine continues to hold pride of place on tables around the world today, its production imbued with a long tradition of grape mastery from ancient to modern times. So this holiday season, remember the ancient party-going Canaanites and toast the ingenuity and palate of vintners through the ages. Add ice to a rocks glass. Add the retsina, tonic water, lime juice and lime wedge into the glass. Stir well and garnish with rosemary or mint. This entry was posted in Blog, Culinary, Culture and tagged ancient history, AntiquityNOW, Canaan, Egypt, Israel, Retsina, Tel Kabri, wine, wine cellar. Bookmark the permalink. It should be also noted, that these wine makers of ancient times added conscious altering plants and resins to create a unique effect for drinking, ceremonial events, and religious practices. Great read, cheers!